Today, the products we buy usually travel thousands of kilometers before we can enjoy them. They are assembled in super-sized factories out of materials that often have to travel long distances before reaching the factory. These factories turn out mass-produced, highly standardized products, which leaves no room for individual customer needs or and the use of local resources. What if we could change this system? Can we reduce the ecological footprint, while democratising access to quality design AND supporting the market for designers and makers? As a response to Black Friday we are collaborating with Make Smthng and Greenpeace and kicking off a Mission in where one design is manufactured in different locations across Europe! To explore the concept of distributed design local materials are used with the skills of local emerging creatives and help of digital fabrication techniques. To celebrate Make Smthng Week and join the movement against Black Friday, we invite you to practically explore the concept of distributed design and take part in Mission to Make by making your own version of a designer lamp, which is the winner of The Distributed Design Challenge at the London Design Festival 2018. Keep us updated and let us know about your mission in our Facebook Group and on Instagram and tag us with @ddmpeu and #distributeddesign #missiontomake . Best designs will be announced! Designer, maker and researcher Milo McLoughlin-Greening graduated this year from MA RCA Design Products and working with the concept of “attaching social functionality to the production of physical objects”. 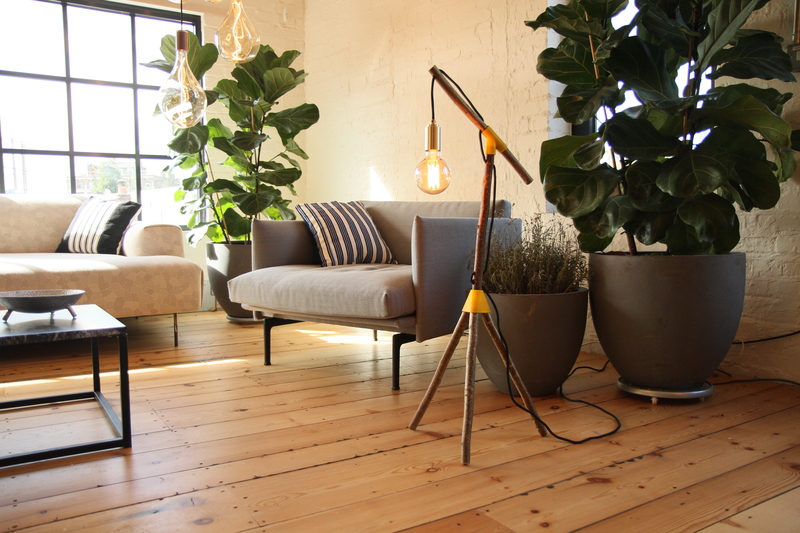 His design lamp called Light_00 is the winner of The Distributed Design Challenge as part of the London Design Festival 2018. For this challenge our Member FandCo partnered with the award winning lighting brand Tala and held a 5-day workshop in where selected designers created lightings that can be manufactured anywhere in the world using local resources and digital fabrication technique. The design was chosen as the winner of the challenge under the aspect of creating value and allowing a simple and achievable design. 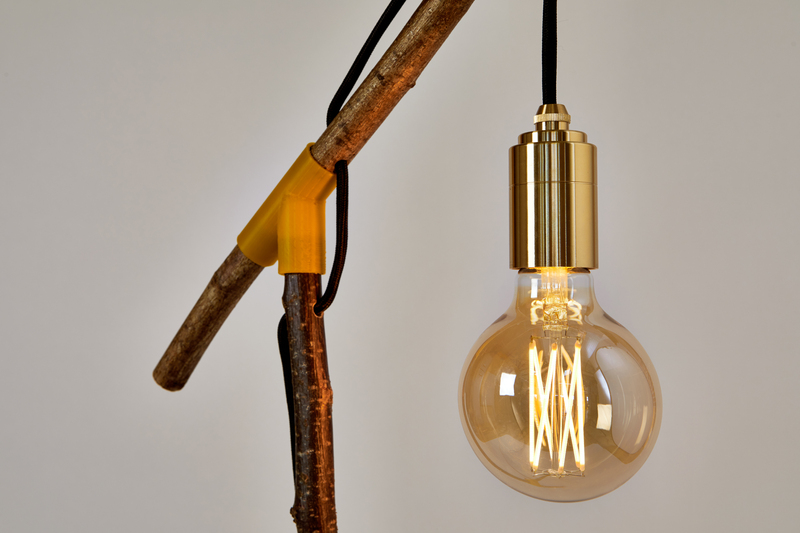 The original design basically consists of 3D printed hubs, a light bulb, a pendant and four lengths of green wood, which allow customization easily. 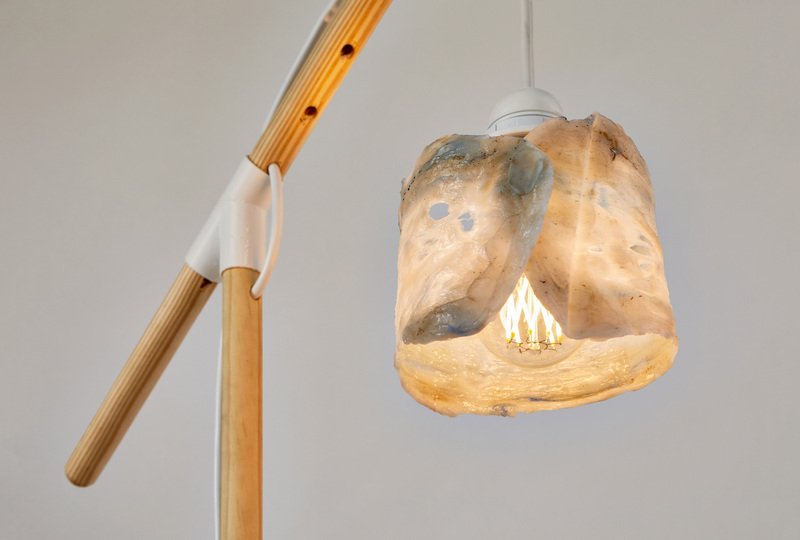 The key elements can be 3D printed anywhere and combined with other locally sourced elements to create a simple design lamp, manufactured within local resources. The printed hubs offer the possibility to design and produce different models of different sizes and versions, starting from a small table light to an oversized hanging light and adapted to individual needs.